Google has released a non-final preview of its Android 3.0 SDK (Honeycomb) to developers and it is now live for testing on existing applications. However the latest release come without APIs and system image so applications developed with the 3.0 SDK preview can not be eventually published to the Android Market. To publish application s ready for the Market you will require the final SDK that Google will be releasing in the next few weeks. The main features of the new Android 3.0 Honeycomb SDK include : high-performance 2D and 3D graphics and support for multicore processor architectures. Together with rich multimedia such as HTTP live streaming support and pluggable DRM framework with new APIs for Bluetooth A2DP and HSP, and Enhancements for enterprise. Google has also added a number of useful features for Enterprise customers including support for encrypted storage, password expiration and email with a new two-pane UI for more intuitive browsing. New features across the system and included in all applications is a system bar positioned at the bottom of the screen that allows users to have quick access to notifications, system status, and soft navigation buttons. The System Bar is always present and is a key touchpoint for users, but in a new “lights out mode” can also be dimmed for full-screen viewing, such as for videos. 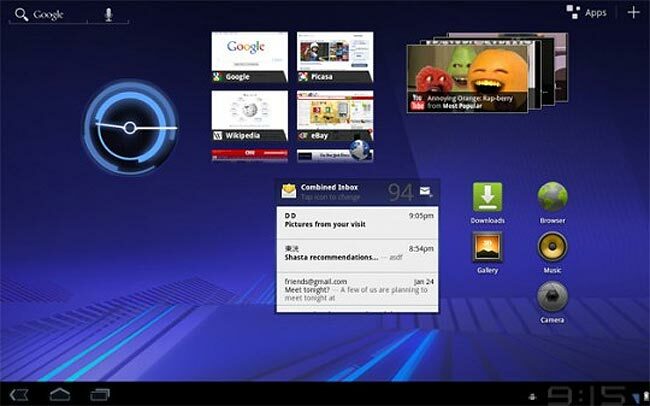 For more details on the new Android 3.0 Honeycomb SDK preview visit the Android Developers website.